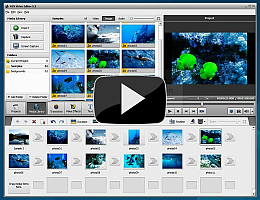 Welcome to AVS Video Editor, a powerful, full-featured and easy to use software for working with video data! Our software has a number of great opportunities for creating the best possible video and audio, which makes working with video easy and constructive. The unique interface is universal for any categories of users as much as possible. To start AVS Video Editor go to Start menu and choose All Programs -> AVS4YOU -> Video -> AVS Video Editor. How to apply video effects in AVS Video Editor? How to save the project and video in AVS Video Editor? How to correct color in your video using AVS Video Editor? What is in AVS Video Editor?